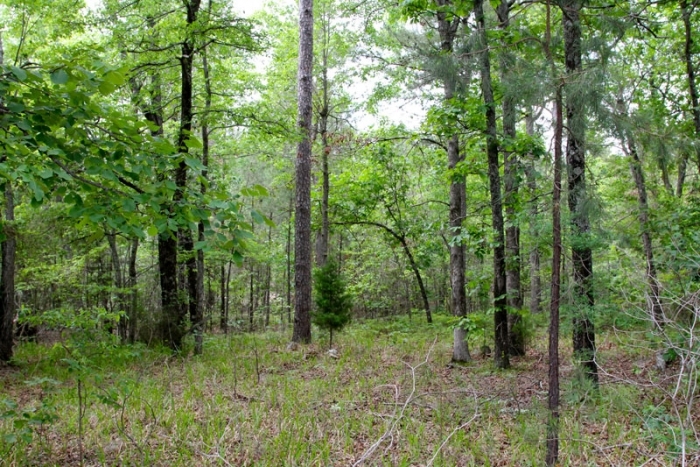 Oklahoma, Pushmataha County, 6.99 Acre Trophy Ridge III. TERMS $160/Month. 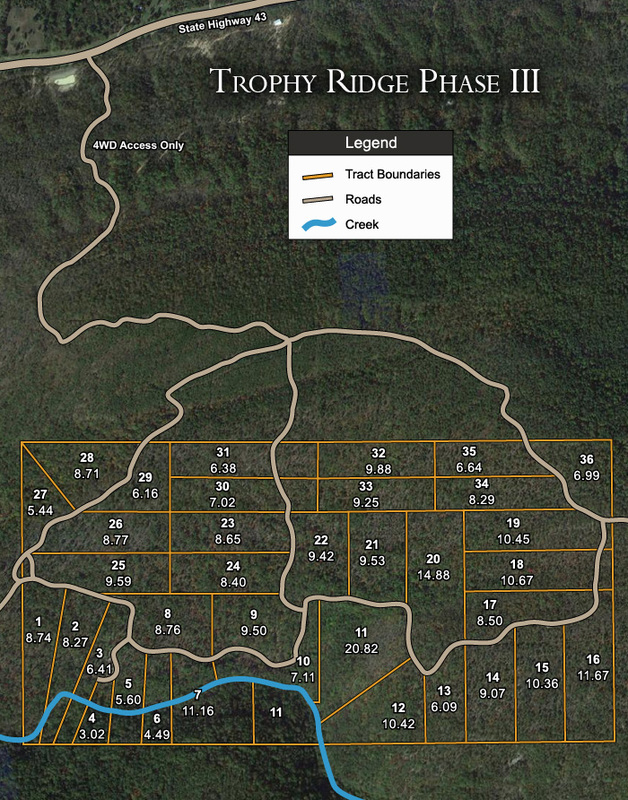 Trophy Ridge, Phase III, is perched on the western edge of the vast Ouachita Mountain Range, in Southeastern Oklahoma. The property has access via OK-43 on the north, outside of Daisy, OK, for easy driving from both North Texas or Oklahoma. This lot is being offered for sale with financing. Simply make the small down payment, and the land contracts and coupon books will be mailed to you immediately. You can start using or building your land while you are making payments. Tract 36 is a great tract of mountain land with dirt road access along the western boundary. The tract is very level; slopes northwest to southeast from the road. Huge rocks and some moderate elevation change make this tract and adventure to explore. From this tract, there are great views of the southern mountains. Tree coverage is moderate to heavy with shortleaf pine and numerous other hardwoods indiginous to this area of Southern Oklahoma. Several open spots are perfect building a weekend cabin. Pushmataha county is located in southeastern Oklahoma with Antlers serving as the county seat. Pushmataha County is one of the largest counties in Oklahoma with many lakes, streams, and mountains to choose from. Antlers was named after the numerous deer antlers left by the Indian hunters around the spring.